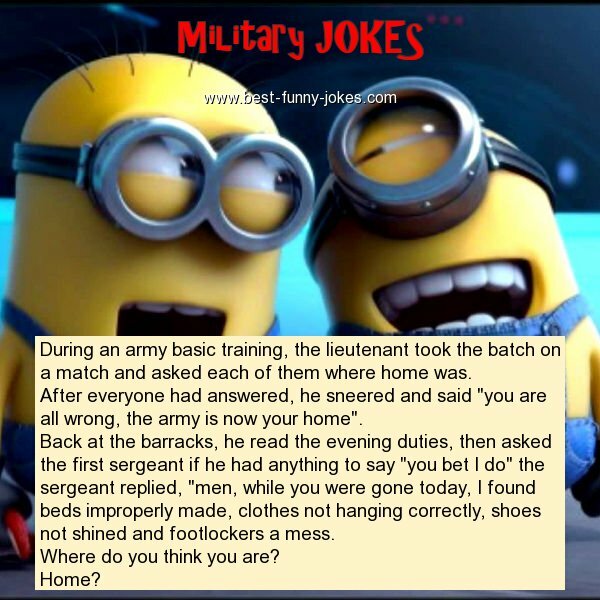 During an army basic training, the lieutenant took the batch on a match and asked each of them where home was. After everyone had answered, he sneered and said "you are all wrong, the army is now your home". Back at the barracks, he read the evening duties, then asked the first sergeant if he had anything to say "you bet I do" the sergeant replied, "men, while you were gone today, I found beds improperly made, clothes not hanging correctly, shoes not shined and footlockers a mess.